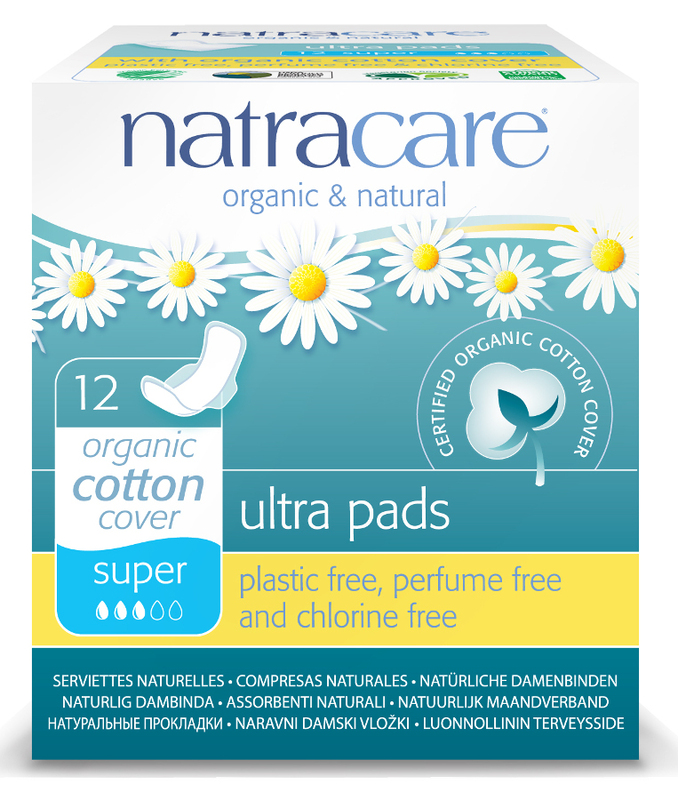 Natracare chemical free pads are made from only pure and natural materials derived from plant cellulose. They are not chlorine bleached and are free of rayon plastics and other similar synthetic materials that have a negative impact on our environment. Natural pads are particularly advisable for women with sensitive skin who are advised by gynaecologists to reduce their contact with artificial materials and petrochemicals. These Ultra Super Pads are comfortable and reliable for heavier periods. With a contoured shape that is narrower towards the middle of the pad it fits the lines of the body more readily and the wings give added protection and security. They are individually wrapped so that they can be kept discretely in your bag. And as these pads are biodegradable they're better for the environment too. Every year billions of plastic laden pads are disposed of in landfill sites so using decomposable natural pads helps to reduce this problem. 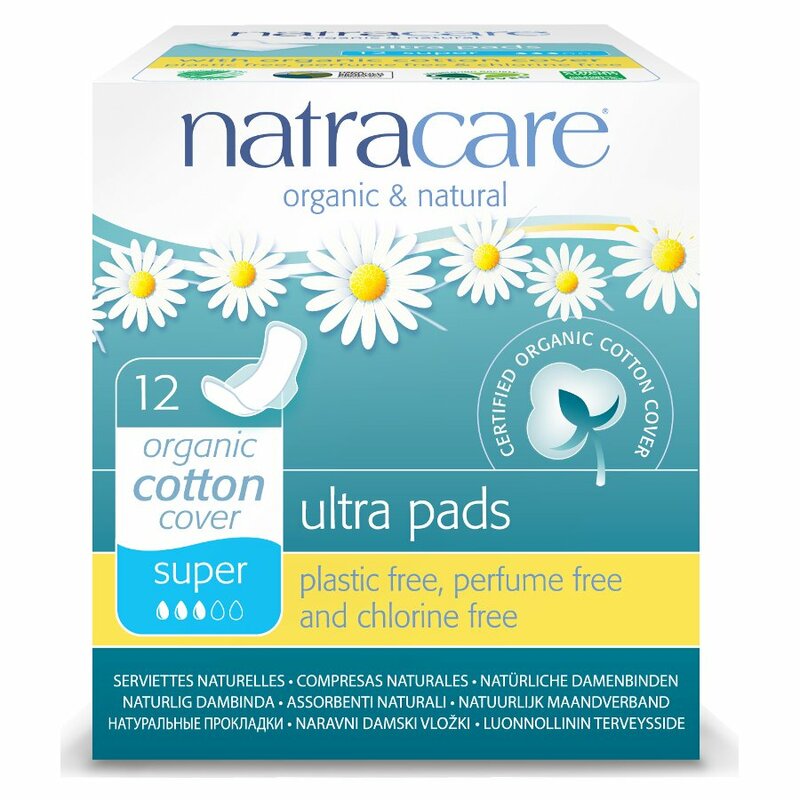 The Natracare Organic Cotton Ultra Pads - Super with Wings - Pack of 12 product ethics are indicated below. To learn more about these product ethics and to see related products, follow the links below. These are fabulous. I am so pleased they are compostable. Comfortable to use and much more absorbent than the plastic ones by that well known brand. I am medium to heavy and these work well for me. Would recommend.